Garden Melody Melamine Serveware Accent Tray Shop the largest selection of Michel Design Works accent trays and more - Garden Melody Collection. Plus free ground shipping on orders over $50. 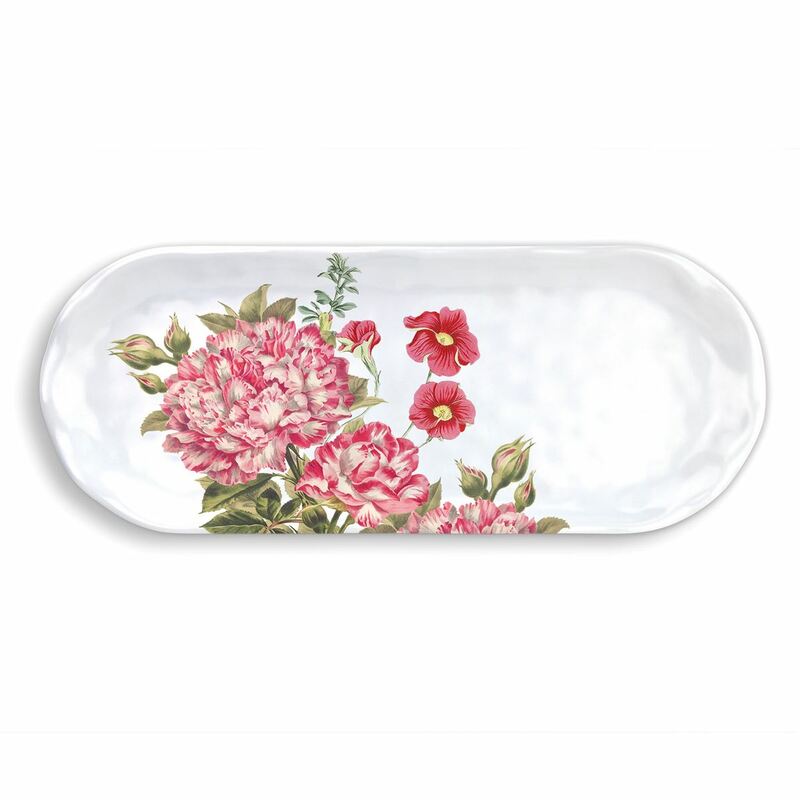 Our Melamine Serveware Accent Tray is colorful, convenient, and just the right size for hors d'oeuvres, cheese, and other sweets and savories. Approximate Size: 15.75 x 6.25"